On Sunday 3rd September Take to the Road attended the Shere Hill Climb for the very first time. This hugely popular event first started four years ago and has grown to be come one of the top hill climbs in the south of England. The selection and diversity of the vintage, classic and modern classics taking on the hill climb was impressive to say the least. Everything from pre war cars to Milla Miglia competitors to modern day sports car were in action. And it was quite a spectical! In total an impressive 150 cars were entered for the days action. A 1936 Austin Cambridge Special heads to the start line. After spending two days at the Concours of Elegance at Hampton Court Palace, it was time for a change of pace and scenery. As luck would have it the trip down to Shere Hill Climb, just east of Guildford, was a just a short one. On arrival I was met by a sea of cars and furious activity in a very large field. A large banner with the words “Start” was unfurled across the road, a hint that I was getting close to the action. An impressive selection of spectators classics were on display. There is something to be said for seeing a field in the countryside swapped with classic cars. It was an impressive site with hundreds of vehicles and spectators milling about the main paddock and display area. A 2008 Southern GT40 lining up with a Ferrari 330 GTC and an AC Cobra. This 1974 Alfa Romeo GTAm was pretty special. A real Fiat x1/9 Abarth Prototipo! One of the rarest of all x1/9 cars. This was awesome! A quick walk through the lines of cars revealed an incredibly diverse range of cars, all entered an waiting their turn to attack the hill climb. After taking in the many rows of classic cars, it was time to check out the action at the start line. A bit of a traffic jam on site… all waiting their turn to charge up the hill. A 2015 Hawk 289 Cobra leading the queue. Shere Hill Climb itself takes place on Staple Lane, which looks like most country roads. But it is the topography, gradual elevation and its numerous bends that make it an ideal hill climb road. The course is approximately one mile long and has four chicanes, with numerous humps, bumps and blind corners to challenge even the bravest drivers. The mix of cars at Shere Hill Climb was fantastic. Watching the cars line up and wait their turn at the start line, I wished my Bertone x1/9 wasn’t suffering from electrical issues. This course looked a perfect test for the little mid engined rocket. Maybe next year! A 1971 Chesil Speedster 356A charges off the line. The event organisers set up numerous viewing platforms along the course, with additional viewing areas on both side of the road. Peering through gaps in the hedges it was exciting hearing the cars burn off at the start and then crouching, waiting to see what classic blasted around the corner. A very pretty 1959 Alfa Romeo Giulietta Spider on the course. This Morgan was anything but shy! Giving it some beans in a 1955 Lester MGT51. This airplane engined 1907 Berliet/Curtiss Special was loads of fun. This stunning 1956 AC Ace Bristol was once Ken Rudds own race car and has competed successfully at the Mille Miglia. What really impressed about this event, in addition to the large numbers of cars taking part, was the running time for the course itself. The Shere Hill Climb is a full on event from 9am to 6pm! 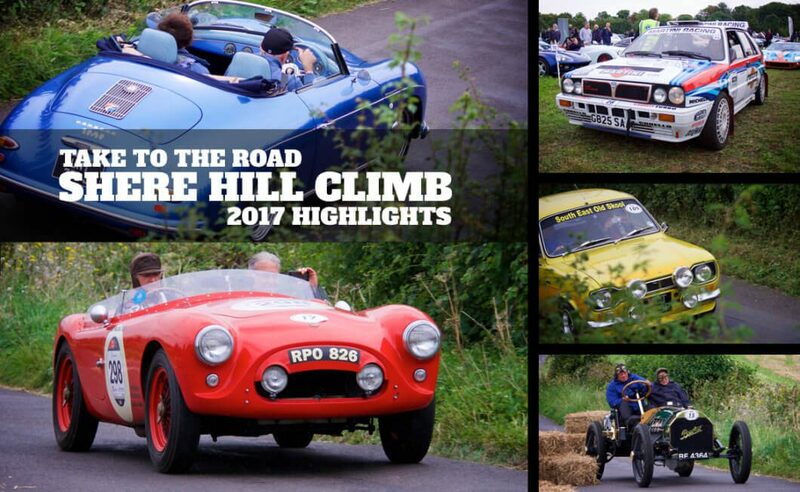 Shere Hill Climb is one of the best hill climb events Take to the Road has attended to date. 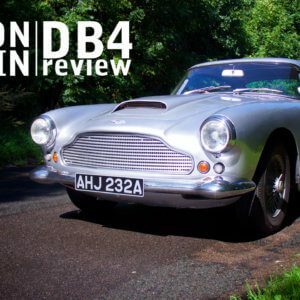 The scale and the diversity of the cars is brilliant and it is a wonderful day out for any classic car enthusiast. And the great thing is that all the proceeds from the day go to charity! Even though the rain and mist did start to fall, it failed to dampen spirits on the course. Fingers crossed that by this time next year, my Bertone x1/9 will be ready to take on the run itself!